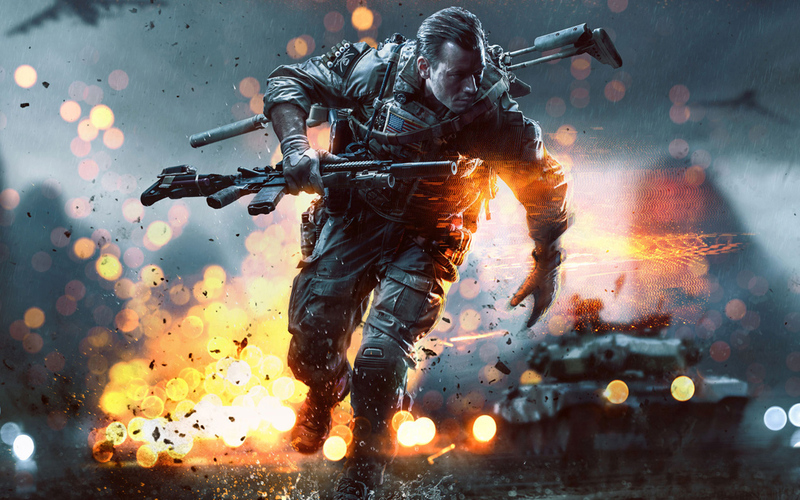 The latest in the well-known Battlefield franchise has finally launched to much anticipation, but will Battlefield 4 live up to the high expectations placed on it? Tensions Rise: The single player campaign of Battlefield 4 takes place six years after the events of its predecessor, with tensions between China, Russia and US rapidly rising. As "General Chang" of China attempts to overthrow the government and start a war against the US, along with the support of Russia, the US is tasked with repelling the enemy invasions and uncovering the truth behind the attacks. The campaign is remarkably short lived, clocking in at less than 10 hours at the absolute longest, but it is quite an epic romp that sees you experiencing a number of high intensity situations and missions. Throughout the well fleshed out story you will be carried to remote locations around the world and while the ending is surprisingly abrupt (and considered lackluster for many), the experience leading up to that ending is an impressive one. Living The Battle: The biggest asset that Battlefield 4 owns is the fact that the game is simply incredibly realistic in many ways. Granted there are some situations in which some of the characters of the single player campaign are seemingly superhuman, unable to be killed by rockets, crashes, gunfire or a six story fall to the floor, but as far as the combat goes Battlefield 4 sets a new bar. Unlike competitors like Call of Duty, which showcases a more �arcade-like� type of gameplay, Battlefield 4 relies on realism and intense gun fights to get the point across. The majority of the environment can be destroyed easily with explosives and some with even gunfire and seeing your cover break apart as you come under fire is fascinating. In fact, in one particular mission we were tasked with blowing up a pair of tanks, drawing from an explosives stash in a nearby building. When the tank saw us go into the building to resupply, the tank brought he entire house down, taking the supply of explosives with it! As well, the multitude of armaments put at your disposal, all of which are real guns, handle differently and have unique sounds and feels to them. Movements, animations, weapons and environments were all meticulously refined to look phenomenal and act in as equally an impressive manner. Help, I Need Somebody: The bigger issue with Battlefield 4, while the title is full of potential, is the multitude of issues, bugs, glitches and crashes that have plagued the online portion of the title since launch. The Xbox 360 and PS3 versions of the game suffer from rampant crashes during online gameplay that many users have simply been fed up with it and stopped playing entirely. As far as the all-important next generation consoles go, the PS4 has been hit with a wave of issues regarding crashes and even more perplexingly, issues logging into EA�s Origin system. The Origin system is usually best known as a digital distribution resource but in this scenario, EA and Origin unify accounts, with the Origin account superseding a specific EA account. Now, this isn�t the issue in and of itself but the problem occurs when an attempted merging of an EA account and an Origin account takes place. For reasons unknown, even to EA, something goes wrong in the process in some cases and causes the account to become damage or corrupted in some sense. The result is that when you pop in Battlefield 4 on your PS4, you find an Origin log in screen that cannot be bypassed or successfully logged into. This issue hit the staff of Krakrabbit.com constantly and over the course of 5 full days, we were never able to experience the online gameplay of Battlefield 4 on the PS4. Laughably horrid management of the online multiplayer has caused many gamers to get rid of the title already, and although the issues are likely to be fixed within the month, there is no excuse why a game should launch in such poor conditions. Some gamers signify the complexity of the PS4 for the cause of the issues but the fact of the matter is that EA had plenty of time to work out potential bugs and kinks and even since launch they have had time to fix the problems that have occurred. Rent vs. Buy: Battlefield 4 is an immensely potential filled game considering its excellent single player campaign and incredible, unprecedented visual prowess, but the issues that have plagued the multiplayer are simply embarrassing. Although the multiplayer is an enjoyable experience (mostly unchanged from the open beta that was experienced a while ago), the fact that it only works for a much smaller percentage of gamers than it should forces us to give Battlefield 4 a rating of failure. The fact is, nobody purchases a title in the Battlefield franchise expecting to be forced to play the single player for weeks after launch. That is exactly what has happened to a large number of gamers (including staff at EA) who are puzzled as to why these issues are occurring.